Toss on this women's t-shirt before you head to the studio or as you drop in on your mat before a restorative class. 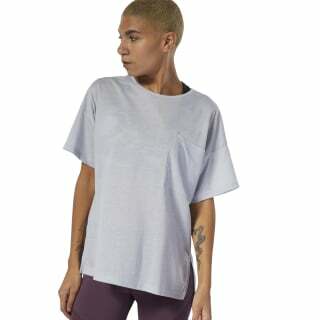 Featuring a relaxed shape, this oversize tee worn over your yoga clothes makes for a casual, modern look. 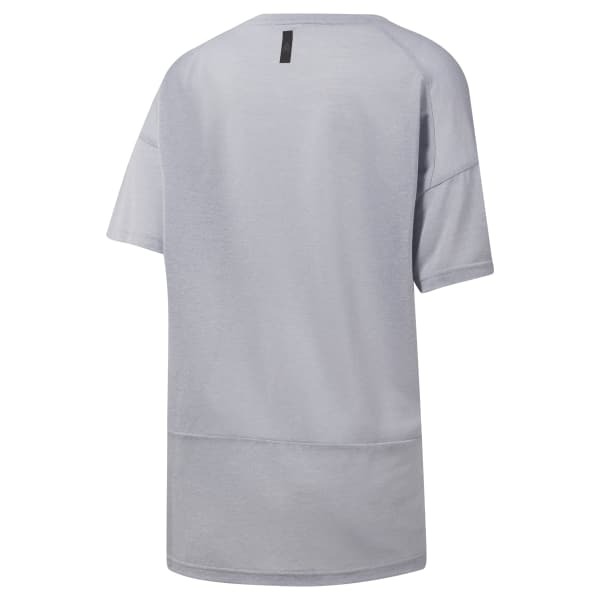 The asymmetrical, elongated back hem adds style.